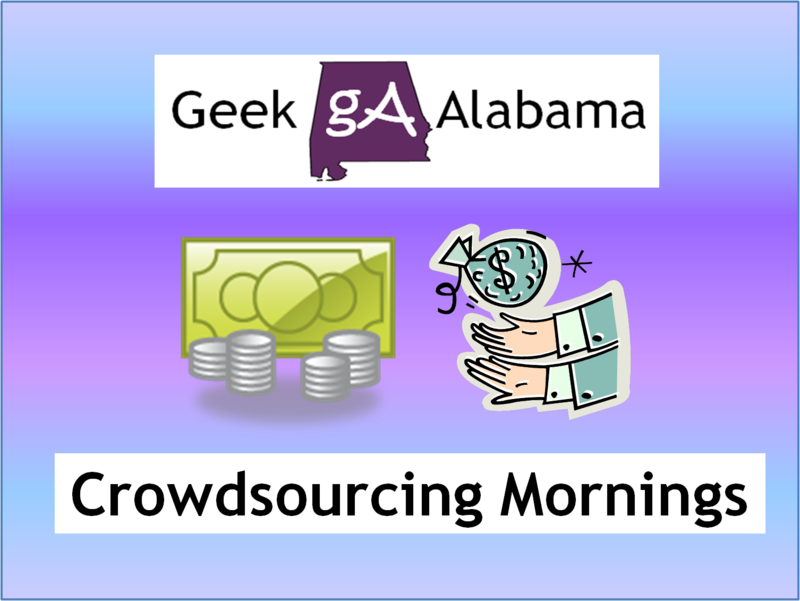 Every weekday morning, Geek Alabama does Crowdsourcing Mornings, this segment features a crowdsourcing project from Kickstarter, Indiegogo, or another crowdsourcing site. Geek Alabama has a few guidelines for talking about a crowdsourcing project. The crowdsourcing project must have a reasonable project goal. For example, we will not talk about a project that is asking for example $100,000 when only an extremely small amount has been raised. The crowdsourcing project can not beg Geek Alabama to talk about their project, especially when the project has to raise a lot of money to reach their goal with only a few days left. The crowdsourcing project must either have sections on their project page to allow Geek Alabama to copy and paste words for an article or send Geek Alabama a press kit to use for the Crowdsourcing Mornings post. The crowdsourcing project must be family friendly. The crowdsourcing project must have a fully detailed project page, to show the readers that the project is legit. Geek Alabama would really appreciate if the crowdsourcing project would mention us on their project page or on their social media! You can use our Geek Alabama logo below! 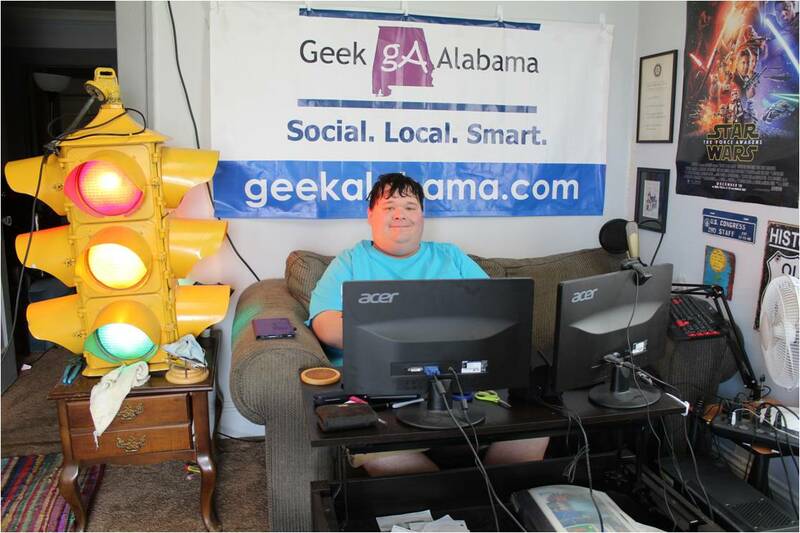 By having your crowdsourcing project featured on Geek Alabama, it does not guarantee that your project will be funded! We are not responsible for what happens with a individual or company’s crowdsourcing project. If there is a problem with a certain crowdsourcing project, such as not getting your pledge delivered, we have no say about that. You would have to contact the crowdsourcing project’s owner. We just talk about crowdsourcing projects, that is all. All crowdsourcing projects on Geek Alabama will feature 2-3 paragraphs about the project, the project video, a picture of the project, and a link to the project page. The crowdsourcing post will also list two pledges from the project page. What you will get when your crowdsourcing project is on Geek Alabama? 1,250 to 1,500 views a day. 35,000 to 45,000 views a month. Link to the post shared on the Nathan Young social media accounts. Link to the post shared on the Geek Alabama social media accounts. Link will be shared on Facebook, Twitter, and Google Plus. We will place a link to your project on the bottom of the article. We will place your project video, picture, a few paragraphs, and a link to your crowdsourcing project. The article will stay up and never be deleted, unless you request it to be removed.